Matilde Cigars debuted on the premium cigar scene in 2014, quickly working their way into the humidors of enthusiasts worldwide. This was due primarily to the history behind its creator - Mr. Jose Seijas. Jose is an industry veteran with over 40 years experience. His previous work was at the esteemed Tabacalera de Garcia factory, producing famed blends such as Montecristo and H. Upmann. Jose and his sons Enrique and Ricardo are now set on creating a new legacy. Their first blend was Renacer, which was quite well-received for a brand’s first blend. In 2015 they introduced the Oscura - a more full-bodied offering that went on the win many awards throughout the industry. And for 2016, Matilde has introduced the Quadrata, filling the gap between their first two blends. 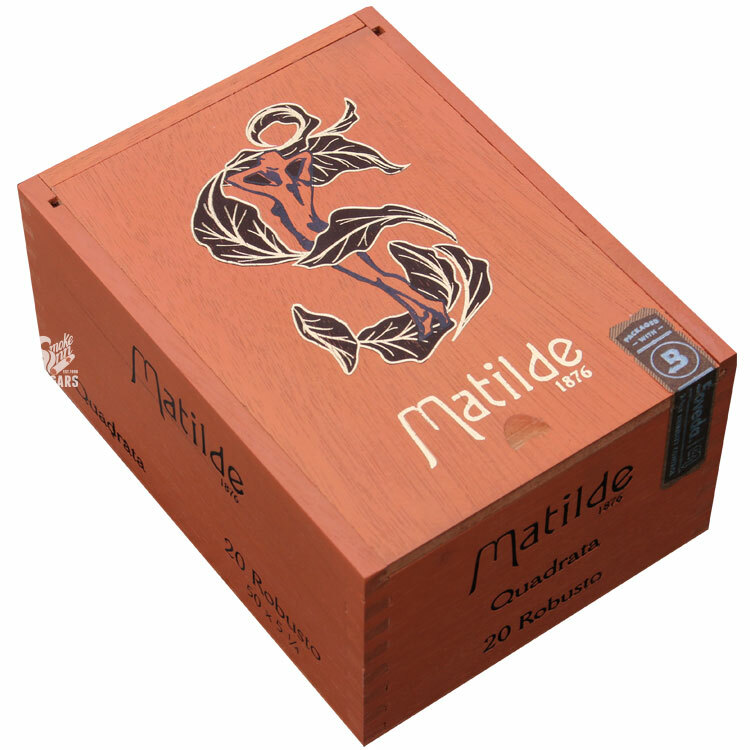 Matilde Quadrata is the brand’s first box-pressed offering, utilizing an Ecuadorian wrapper over a Dominican binder, and fillers of Dominican and Nicaraguan tobaccos. The blend makes for a medium-full body and high flavor output! In other words, it can be smoked near anytime of day, with enough intriguing flavors to outshine even your strongest beverage pairings.